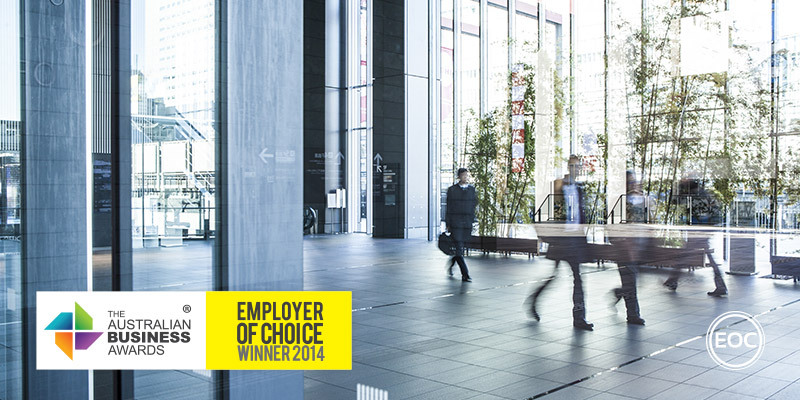 DHL Express has been recognised as an Employer of Choice in The Australian Business Awards 2014. DHL provides logistic and international shipment solutions in over 220 countries and territories across the globe and employs over 1,000 Australians in the areas of operations, sales, customer service, finance, marketing, human resources and administration. As part of the organisation’s endeavor to become an employer of choice, DHL Express has adopted a business strategy called FOCUS made up of the four pillars: motivated people, great service quality, loyal customers and profitable network. The DPDHL annual employee opinion survey gives employees the opportunity to provide feedback across eleven KPI’s. Results form the basis for many strategies and programs. DHL Express offers educational support consisting of both financial assistance and study leave. The DHL Express Certified International Specialist [CIS] platform helps employees become specialists in the international express industry and is supplemented by e-learning and access to a Cert II in Customer Contact and Cert IV in Freight Forwarding. Innovative reward and recognition programs include a self-managed mentoring program and an annual talent panel that enables the company to identify successors for key roles in the business. In 2014 the Company will be running a regional development centre whereby high potential employees from across Asia Pacific will attend a three-day development centre in either Hong Kong or Singapore.